Comecer will attend the SNMMI 2018 Mid-Winter Meeting (Tabletop #24) at Hilton Orlando Lake Buena Vista, Disney Springs Area. 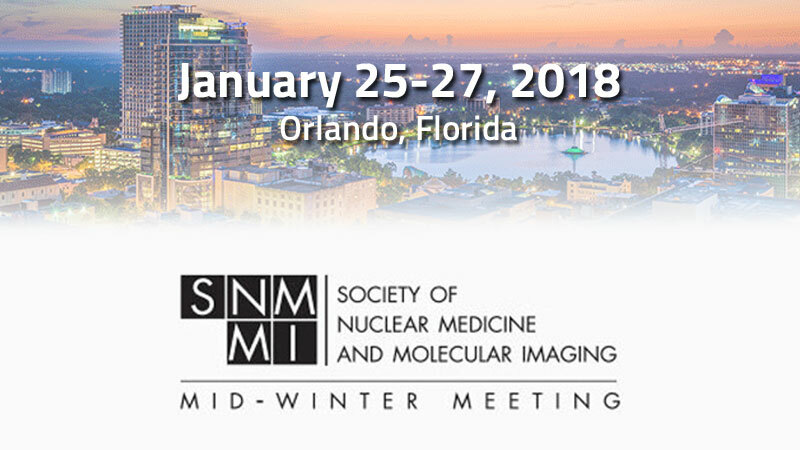 The 2018 NMMI Mid-Winter and ACNM Annual Meeting provides an in-depth review of advances in hybrid imaging, SPECT and Amyloid PET, role of PET/MRI in molecular imaging, targeted radionuclide cancer therapy, translational cardiovascular imaging, quantitative PET imaging in clinical research and emerging technologies. Phaedra which allows the manipulation of highly radioactive pharmaceuticals in total safety, as well as manual operations in compliance with radioprotection standards. Our Solid Target Processing System Specialist, Mario Malinconico, will present on “Synthesis of radiometals from solid targets used for radiolabeling” on Thursday, January 25th, 2018, at 2:10pm in the Center Ballroom. We invite you to join him in this informative session where he will present the latest data on the ALCEO Solid Target Processing System.